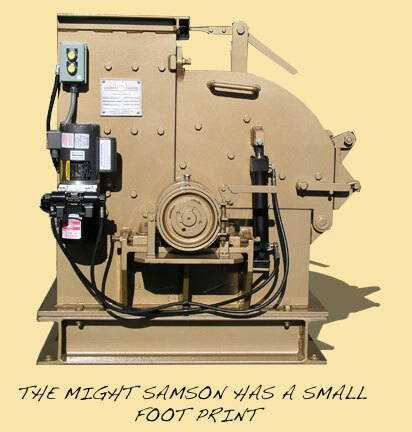 Hammer mills may be belt driven or direct driven to fit your specifications. 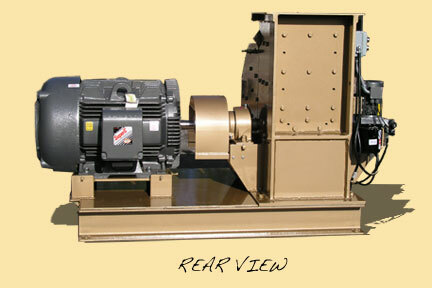 We offer interchangeable screens with hole diameters that allow for coarse or fine grinding of just about any product. Fan and Dust Collector For special processing requirements can be used. MOTOR MOUNTING on either side to suit your particular set-up. Hand Brake: Mill can be stopped in 10 seconds in case of emergency. Without the brake, the mill requires approximately 12 minutes to come to a complete stop. The brake feature is a definite advantage if foreign material is fed into the mill. V-belt can be added to reduce floor space - extra compact installation.